May 16 22:54: Magnitude recalculated from 4.1 to 3.8. Hypocenter depth recalculated from 44.0 to 32.0 km. 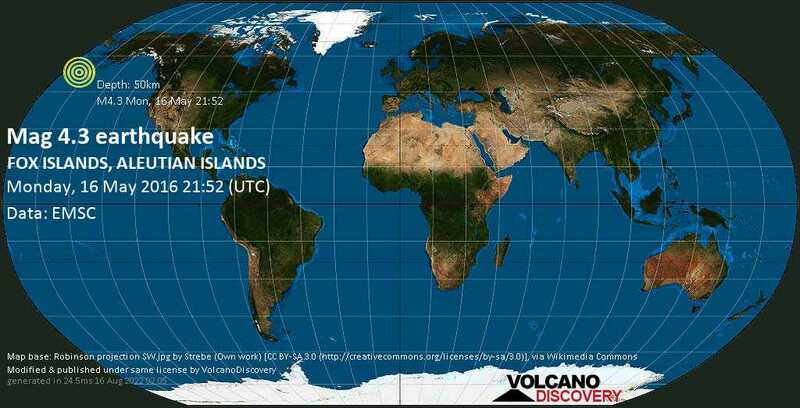 May 17 01:40: Magnitude recalculated from 3.8 to 4.1. Hypocenter depth recalculated from 32.0 to 40.0 km. May 17 06:50: Magnitude recalculated from 4.1 to 4.3. Hypocenter depth recalculated from 40.0 to 50.0 km.